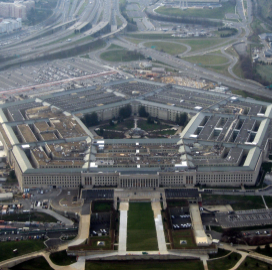 Lisa Hershman, acting chief management officer at the Pentagon, said the agency’s fiscal year 2020 funding request will include a formal reform budget for the first time, Defense News reported Thursday. She said her office has over 50 reform initiatives focusing on the Office of the Secretary of Defense, fourth estate agencies and military departments. “We’re actually giving a nod specifically to numbers allocated for reform. Let’s keep in mind, some of these, to make these big changes, might include some investment, but there’ll also be savings,” Hershman said. In late fiscal 2017 and in fiscal 2018, the CMO’s office found $4.7B in validated savings from reform efforts across the Department of Defense. Hershman said the new initiatives included in DoD’s FY20 budget could slightly increase savings. Changes in regulations and statutes as well as streamlining the procurement process could also contribute to the future savings. Hershman said her team found 249 regulations that if repealed would save nearly $25M on the process side. On the procurement side, the CMO suggested reviewing day-to-day expenses of DoD to address bureaucracy.